Thru-hiking season is nearly upon us. Here’s a quick round-up of the 2011 statistics on success rates, as well as some new updated guidebooks, maps, and fun AT-branded gear items. 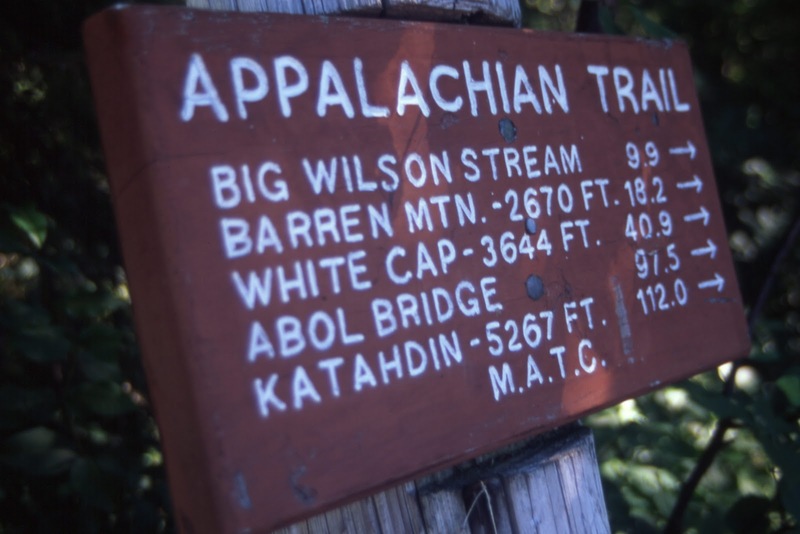 First of all, if you haven’t visited the web site of the Appalachian Trail Conservancy (ATC) recently, check it out. The organization completely overhauled the site in 2011 and launched a beautiful, easy-to-navigate redesign in April of last year. According to the ATC web site, 1,700 aspiring thru-hikers started from Springer Mountain, Georgia, in 2011. Of these, almost exactly half (849) made it to the halfway mark in Harpers Ferry, Virginia, and about a quarter (414) made it all the way to Katahdin in Maine. An additional 59 hikers successfully completed a thru-hike from north to south and 30 completed a successful “flip-flop” of the entire trail (starting northbound from Georgia, then jumping to the northern terminus at Katahdin somewhere in the middle of the hike and finishing the thru-hike southbound). Another 120 hikers reported a successful completion of the AT as section hikers (hiking the entire trail in sections, usually over the course of many years). It all adds up to 623 new “2,000-Milers,” a catch-all category the ATC uses to track hikers who have completed the entire trail. This number is remarkably consistent with numbers posted in 2010 (635) and 2009 (611), which are about 10 to 15 percent higher than numbers posted from 2004 to 2008. If you’d like to hike the entire Appalachian Trail yourself—and do it in only four minutes—check out this amazing time-lapse video by Kevin Gallagher. Step by Step: An Introduction to Walking the Appalachian Trail is a free 36-page guide that outlines the basics of planning an AT hike, including an overview of the different sections, a primer on equipment, and details on weather, trail etiquette, Leave No Trace techniques, and more. You can download it as a pdf for easy desktop reference. Updated every year, these two references are once again fresh for the planning. 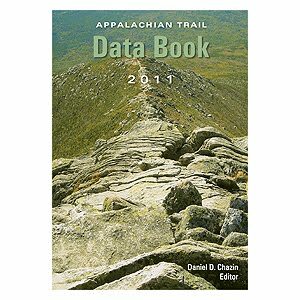 The Data Book ($6.95) lists trail distances between shelters, road crossings, and other significant landmarks in a slim pocket-size volume. 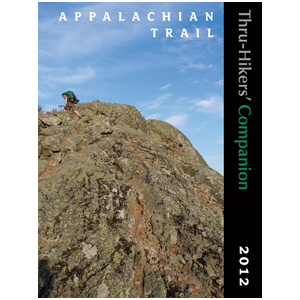 The Thru-Hikers’ Companion ($14.95) is a succinct overview of the entire trail, including planning, highlights, and amenities along the way. A new edition is available this season for the North Carolina/Georgia Guide and Maps ($27.95). The ATC offers a full range of AT shirts and other apparel. One of the more amusing is the new “More Miles, More Smiles” T-shirt, which documents the ever-growing length of the trail. The trail actually grew almost two miles last year. 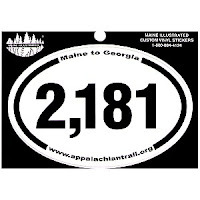 As of 2011, the AT is now 2,181 miles, 1.9 miles longer than it used to be (see my January 2011 post for more info). You can stay up to date with a new 2,181 decal ($1.95). Another personal favorite is the 3-D, raised relief map of the entire AT as seen from space ($49.95, more if framed). Seems like a very absorbing motivator, memento, or just a very cool thing to hang on your wall.